The McDonald's at Ethiebeaton, Monifieth. 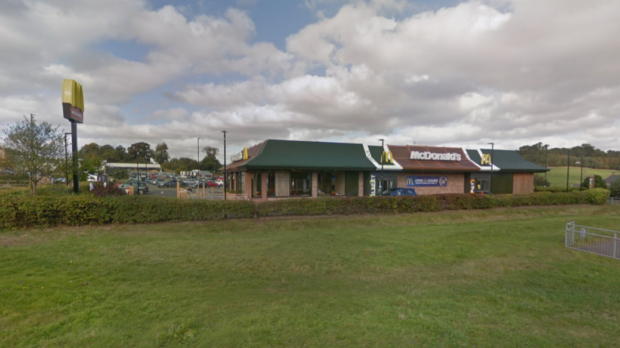 The manager of Monifieth McDonald’s has said it is a “miracle” no one was injured when a group of youths caused an aerosol can to explode inside the restaurant. Franchisee Nick McPartland said the youngsters were igniting the spray from the aerosol inside the fast-food outlet at Ethiebeaton Park when one of them accidentally caused the entire can to explode. Mr McPartland said he was making details of the incident public because of concerns about anti-social behaviour in Monifieth. Police Scotland’s Tayside Division Inspector Gary Aitken said: “We are aware of the incident and it is concerning. The incident is the latest in a series of disturbances involving youngsters in Dundee and Angus in recent months. Earlier this week The Courier reported youths had been seen running across roofs in Brechin and Forfar. The derelict Strathmartine Hospital site on the outskirts of the city was targeted by fire raisers last month and in February Brechin Cathedral was attacked by vandals, who daubed graffiti on the walls. In January police said they were investigating a series of reports of anti-social behaviour by youths across Broughty Ferry and Monifieth. Residents had reported issues including fire-raising, noise, threats, vandalism of cars and homes and trees being uprooted.